Happy Birthday J. K. Rowling (and Harry Potter)! If you’re into that sort of thing, you might want to check out mental_floss’s 35 Harry Potter Facts for Harry Potter’s 35th Birthday. Harry, Ron, and Hermione are getting a makeover. 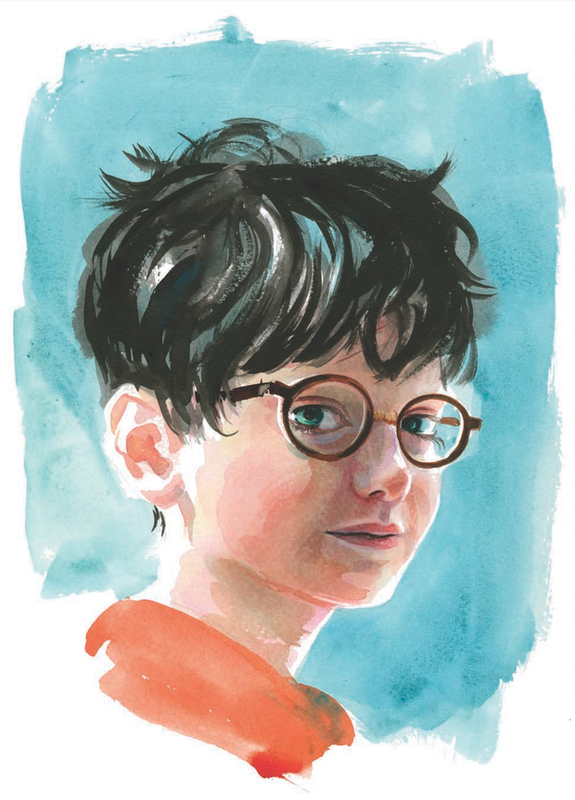 British artist Jim Kay, who won a Carnegie Medal in 2012 for illustrating Patrick Ness’s fantasy children’s book A Monster Calls, is reimagining the look of Harry’s world for a new edition of Harry Potter and the Philosopher’s Stone. According to The Guardian, Kay is slated to create full-color illustrated editions of all seven of J.K. Rowling’s Harry Potter books, with the first expected to hit shelves October 6. The subsequent novels will be released one per year. And after a sneak peek at Kay’s work—well, let’s just say we’re extremely excited about the new editions. Is the World Ready for a Harry Potter Stage Play? Looks like it’s coming whether we’re ready or not. ‘Harry Potter’ play coming to British stage.